A classic choice is naturally 18ct gold. But 9-carat gold, just as resistant, is an increasingly popular choice for a low-cost solution. Consisting of a percentage of gold less important than for 18-carat gold, it provides access to a very good design-price-quality ratio. This choice is essentially according to the taste and preference of the elected. The choice of the gold color of the gold engagement ring will often be decisive for the choice of gold alliance color. Yellow gold is a jewelry classic. This golden color is perfect for a warm complexion. White gold is a more contemporary choice that will sublimate the white flashes of a loner. The pink gold, it is characterized by its originality and its soft and harmonious shade against the skin. 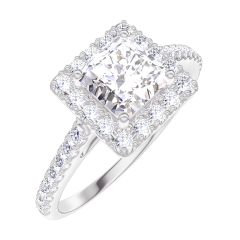 There are usually three types of engagement rings: solitaire, trilogy, or halo. 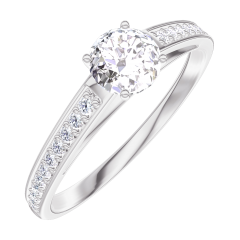 The solitaire "classic" consists of a central stone, often mounted on claws, but also available in a more modern closed version. This solitaire can also be accompanied by crimped on the ring to enhance flicker. The trilogy, it is composed of 3 stones often of the same size, symbol of an eternal love, the 3 stones symbolizing past, present and future. Finally, the halo engagement ring model is composed of a center stone, whether a diamond or a precious stone, haloed with one or even two halos set, which sublimate as much the size as the brilliance of the central stone. A very elegant and elegant model for an exceptional engagement ring. and finally 4 / the cup, i.e. cut in round shape, pear, marquise, emerald, or cushion. Edenly uses only colorless or almost colorless diamonds whose possible inclusions are not visible to the naked eye. 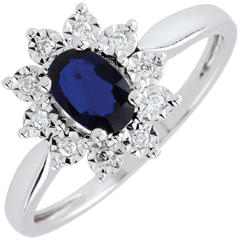 Other precious and colourful stones can be an original alternative and cheaper than diamonds. 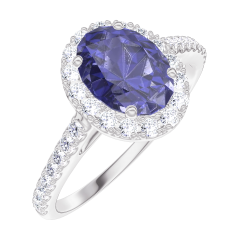 For an engagement ring with Sapphire, Emerald or Ruby, it will be important to choose also the cut and the cartage, but also the hue. There are indeed significant variations of green for emerald, and deep blue for Sapphire. The Rubies also offers a wide red palette, ranging from a fuchsia pink to a Burgundy red. Edenly wanted to be a universal brand, accessible to all, and therefore also offers a selection of engagement ring for smaller budgets. Engagement rings that combine a soft price with excellent quality, guaranteed by the certificate of authenticity that accompanies each engagement ring. 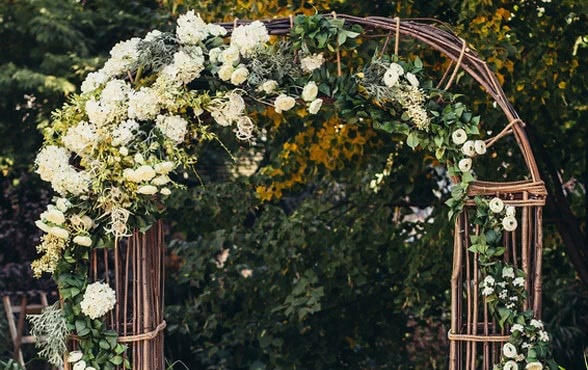 And because your story and your love is unique, Edenly has developed an online authoring tool to help you create a unique engagement ring pattern that reflects your image. A customization made possible thanks to a 3D modelling, which shows you the most faithfully the rendering of your engagement ring. Its use is easy and fun, and allows you to define all the criteria you want. Gradually, the engagement ring is drawn and tells you the associated budget You can at any time control it by varying the size of the stone, the cartage of gold, and the options you have selected. Moreover, despite its uniqueness, your custom engagement ring remains, just like the Edenly collection, fully refundable within 30 days. The custom of offering an engagement ring dates from Roman antiquity. At the time, An iron ring was placed on the left ring finger, because it was believed that an artery ran directly from this finger to the heart. For engagements in the Middle Ages, the spouses exchanged a simple, gemless ring. The first woman to have worn diamond jewellery is believed to be Agnès de Sorel (1422-1450), who was the mistress of Charles VII. The tradition of wearing a solitairediamond comes from this time, when the Arch-Duke Maximilien de Habsbourg offered one to Marie de Bourgogne, in 1477. The diamond, an extremely durable stone, has become the symbol of marital fidelity. The proposal is the most important act of love for a woman. This exceptional event has to be marked with a beautiful engagement ring. Generally a white gold or yellow gold solitaire, it will signify your love before, and long after your marriage. Our collection allows you to choose the exact design that will symbolise your marriage proposal to her and those around you. Our different solitaire diamond rings can take the form of a setting with a diamond solitaire, or it can be accompanied by side stones to enhance it further. This is known as an accompanied solitaire. Accompanied solitaires are becoming increasingly popular. If you prefer to be more original and to offer an engagement ring design different to the traditional solitaire, our trilogy collection and our other gold ring designs will allow you to find the perfect engagement ring for your proposal.